When planning a trip to the Himalayas, one of the major concerns that plays in the mind of the traveler is the ‘Condition of the Roads’. Road conditions can easily make or mar your trip depending on their moods. 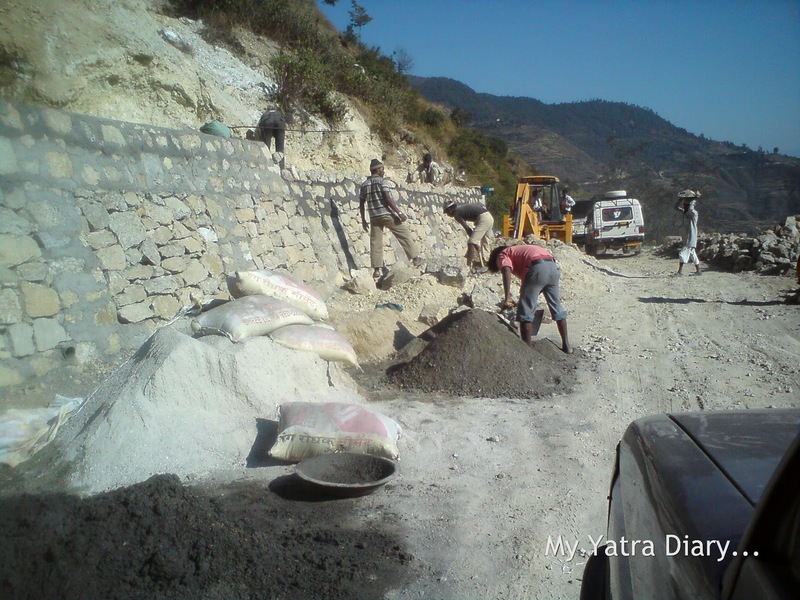 Smooth, rough, rocky or bumpy – you are sure to get a taste of all of it as you keep moving along. So no matter, how hard you try to plan around it, the unpredictability of the Himalayan roads is something that, can be said, is best left to the Gods! Based on our experience, here’s what you can expect, the next time you plan a trip to the hills! Tossing, jolting and bumping you - these rutted, uneven and narrow routes not scare only you on your way, but your near and dear ones back home too. These can hold you up for days but if your stars are bright, then chances are that you might get away with just a few hrs delay by taking a different route to reach your destination. 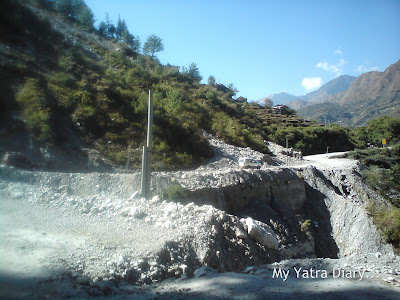 Today, if the Char Dham Yatra is no longer seen as being nightmarish or terrifying, then a major credit of it goes to the dedication and laborious efforts of some hardworking people like these - The BRO (Border Roads Organization) employees. May God bless these noble souls who work tirelessly so that people like us can keep our appointments with the Lords and travel safe. Hats off to them! Roads are not always rough and rocky as shown above, or in TV programs or even in guidebooks. It does have its moments of calm and quiet. Passing through sparsely inhabited valleys, idyllic habitations and silent remoteness, these sure take you into a world unknown... a beautiful world full of Himalayan wilderness. such beauty glaring at you from all ends, isn't it? ...that no amount of the supposed terrain fears can and will ever stop you from getting down to planning another one of your trips to the valleys of the Gods! Awesome captures, Arti! You do take wonderful trips! Thank you for sharing with us! Hope you have a lovely evening! 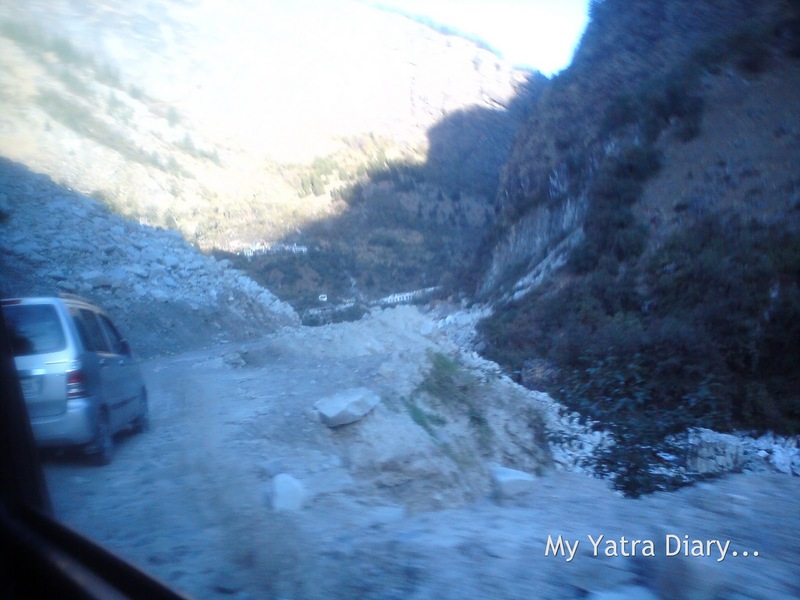 The roads look really scary in the first few pics..
Arti, a lovely portrayal of mountain roads, cloudbursts, landslides et al. Enjoyed every bit as seen them from close! As always you have beautifully captured every element of the journey. Beautiful pictures are stealing my heart.Thanks for this superb presentation,Arti ..(ji). 'ji' because I am feeling delighted and your presentation is forcing me to say. Just lovely, spell binding pictures of roads or the absence of them:P As the last line says, " road conditions hardly matter..."
Superb pics of the Himalayan roads and terrain highlighting the great risks involved in bone shattering suspension shaking conditions. Inclement weather leading to unexpected cloud bursts and land slides are an added danger some times life threatening. But then what is life if you do not court danger & risks to see hitherto uncharted terrain and the sublime unparalleled beauty that lies beyond ! I think, the bumpy roads ad to the adventure and - people really have to want to go there, which is a good thing! We have a saying here "Nothing good comes easy!" And I would apply that to this. Many beautiful things are full of danger. You got some great pictures, a bit scary, too!!! Are we can go there by train? 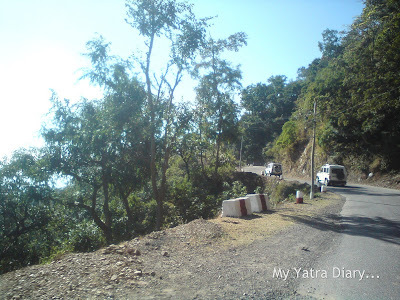 Roads are most important things , i don't how the world would be without the roads , nice captures of roads . All the best for your next trip to the valleys of the Gods . Awesome! We all battle hardships before being rewarded with wonderful prizes. Seeing sceneries from the Himalayan always fascinates me. Stay safe in all your travels, my dear friend. This is the only difference in India and abroad, they have better infrastructure, otherewise we have so much of natural beauty here also. I like the Mountain terrain but somehow I am accustomed to winding road my head start spinning and somehow I can not completely enjoy the view. You have travelled a lot in this terrain must be having every kinda experience. Some of those roads are scary - but oh, what glorious views! beautiful they are...i am from uttarakhand myself and in love with those mountains, clouds or springs.......they make you feel alive. The roads look really bumpy and scary in the first few pics. Take care and stay safe while travellng, Arti. Some of the snaps were breath taking...thats one place high on my wish list! Last one the best pic of the lot. I remember our trip long ...long ago ,how there were tense moments during the travel up the Himalayas. I like that you take me "off the beaten path," Arti. Just be sure you're watching the road and not looking too closely at all that beauty while driving! what a wonderful idea for a post!!! 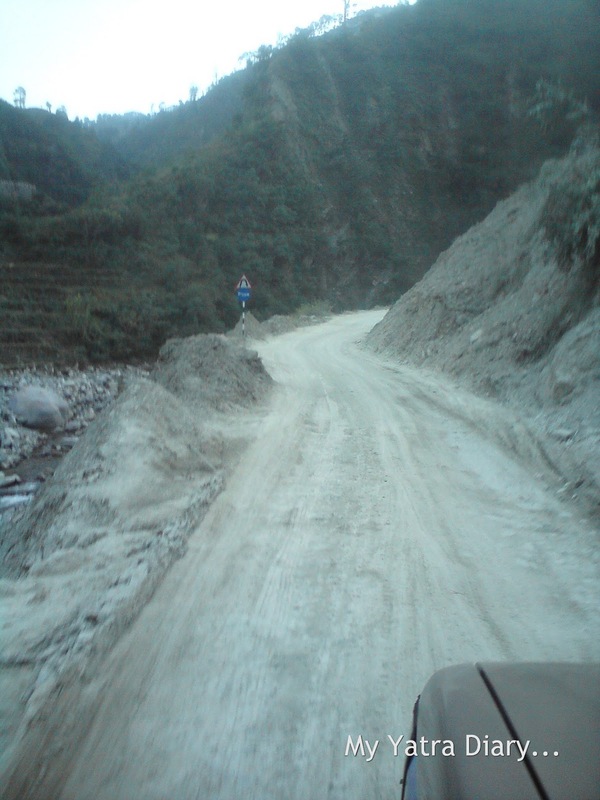 I can understand in your photos that road conditions are best left to the Gods. 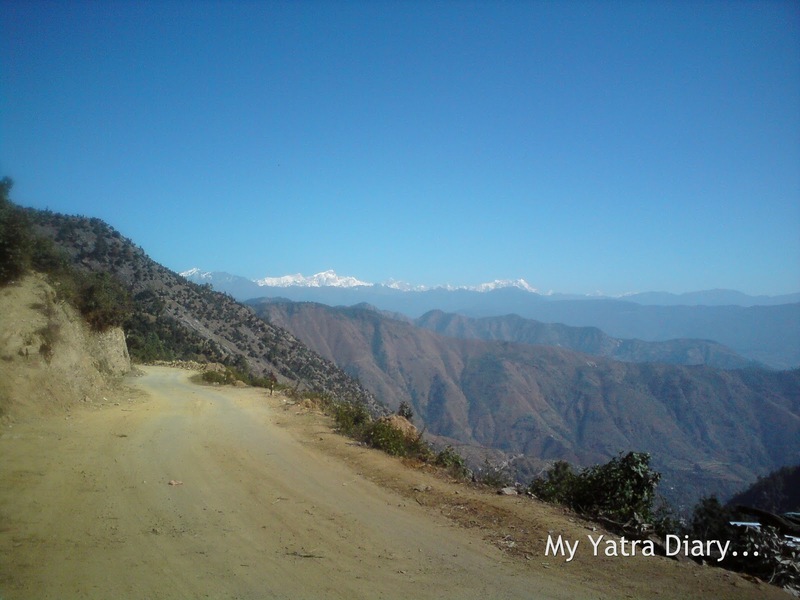 Himalaya is a territory of Gods. You are awesome passing though these places. Hope you are well! Hugs. 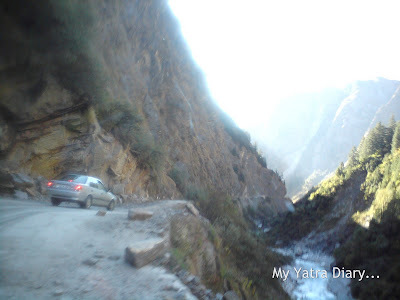 These roads feed the Himalayan folks and the Indian Jawans. Maintaining these treacherous roads is an uphill task. But the government is doing its best to keep these roads lively. Nice pics & an interesting post indeed. Arti, you dealt with an interesting theme. I totally agree with Rizalenio: “We all battle hardships before being rewarded with wonderful prizes.” At first, we are concerned with bumpy, dusty, winding road, but once we get caught by the beautiful nature or with lofty aims, we just forget about the road conditions and the likes. Wish you another safe trip no matter how the conditions next season. The last scenery is a real treat to the soul. Now THAT is a roadtrip! We have met people from the East coast or central part of the US who are afraid to venture to the Western US because they are afraid to travel in the mountains. (It's silly of them, because our mountain roads are good.) They'd probably faint on just looking at these roads. I enjoyed reading your post and what interesting advice when planning a trip to the Himalayas. Would be the most remarkable place to travel to even if it must mean driving on the scary roads. Your's is such a beautiful travelog. Living in the hills, I can very well connect with what you wrote. 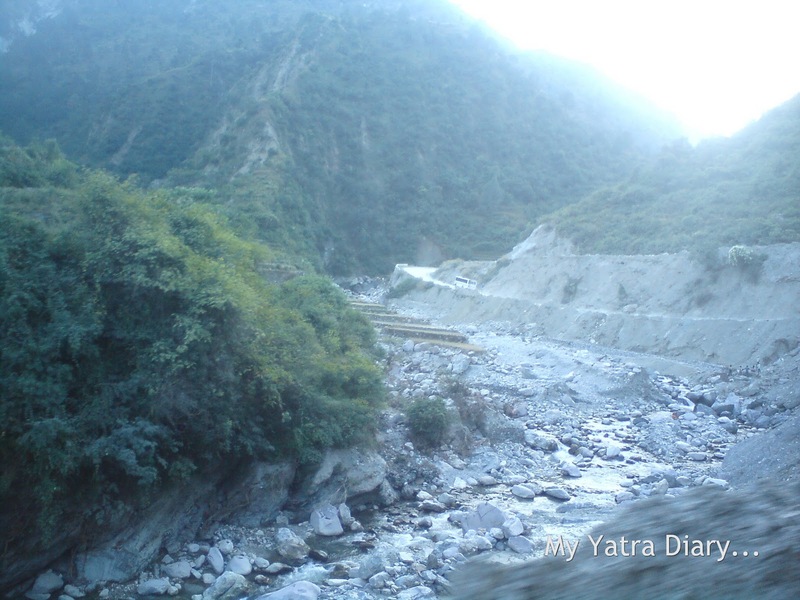 I have witnessed all of them: landslides, cloud burst, rough roads, no roads. And you know, in 2009 we witnessed two cloud bursts in a single day, and the place where I live became an island kind of thing. Shopkeepers ran out of supplies and the communication also failed. It was scary, but fun. I liked the style of your prose. I recently joined the world of travelogs, if you ever get time do check it out. Construction Work looks hard but we need them for driving and walking. It's awesome picture as always. You are a great adventure. 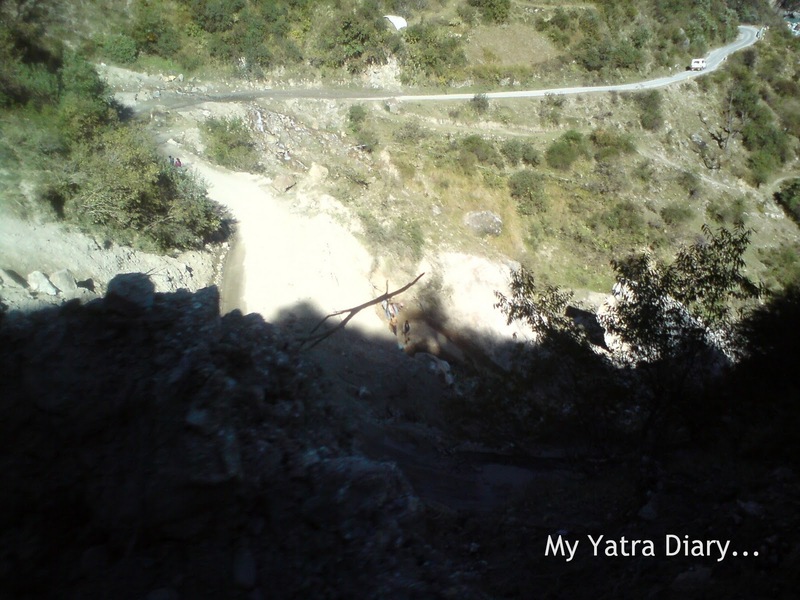 Only those people like you can enjoy the grandeur sceneries in Himalayas! 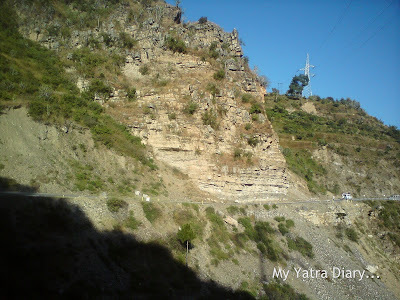 just stumbled upon your blog.beautiful mystical pictures.holy shrines,nature....everything reminds me of my trip to mata vaishnodevi mandir,I made earlier. your second photo shows clearly the dangers of travel! it's amazing, and I would have difficulty with it, being afraid of heights as I am. but the light you've captured is truly divine. you were fearless in your pursuit of the Gods! and I understand that, and can only imagine how powerful this trip must have been for you. thanks for sharing Ari. I have a great understanding of the momentous past and a desire to experience this magnificent present! happy weekend to you. Wow, those roads really are scary. I think falling over a cliff in a car would be the worst way to die! 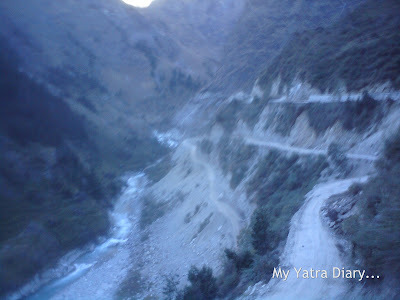 mmm..Interesting pictures.. Himalayas beckon me..! Arti,Your photos remind me of pilgrimage. People visit 88 temples one by one on foot. Most of them are in the remote areas or mountains. But they are not alone, always accompanied with the spirit of one priest who opened those temples. Thanks a lot. I think the core of the worship looks different but very similar in essence. Thanks a lot for your great journey!! nice dry look and cool view! wonderful pics and info..though i have travelled extensively in the himalayan region...i find it way too unpredictable...but thats part of the thrill also!! Awesome Photos!!! I can smell the environment... Really Beautiful. WoW! Love the pics, Aarti! :) That's one place I have always wanted to visit!! 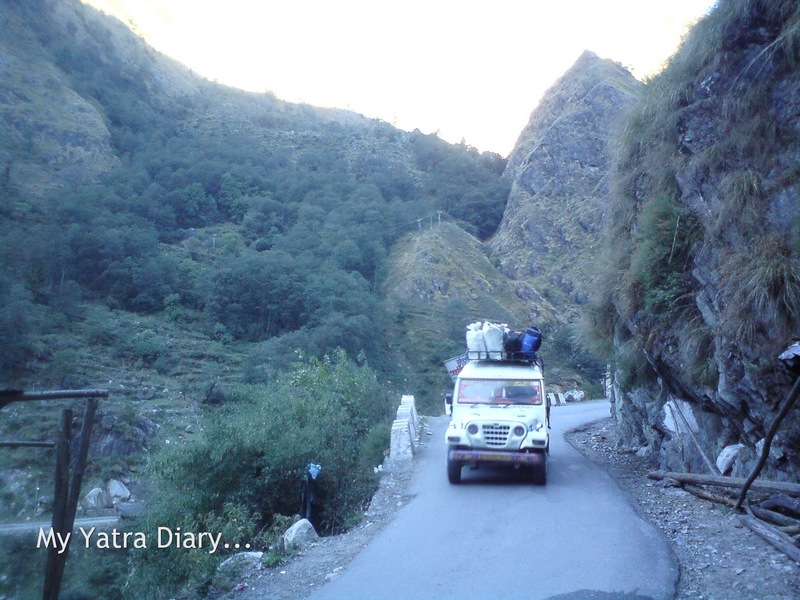 It is too important a trip to the Himalayas! Lucky those who fought for! I love your blog and am happy to nominate you for this award! A brother of mine lives in Rishikesh as a photographer (imagine my deepest envy!) and he has promised me to take me hiking (once my dearest exams end...ofcourse :-P). So you just increased my excitement tenfold. Now I can't *wait* to go hiking there.